Should I comment on the antlers? I think I covered this on my last couple of posts, but I think it should be enough to say this was a present, and my brother has a sense of humor and an unexpectedly active craft habit. 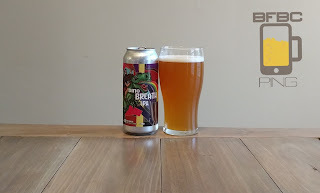 This is another beer from the Cincinnati area, and I'm drinking it. The flat brown beer has a healthy head that takes a bit to wind down and leaves a light dusting of bubbles floating on the surface; there isn’t going to be any lacing here. The aroma is a sweet malt, honey, and spices galore. I’m diving in. There’s no reason to string this out. First sip is fan-goddamn-tastic. 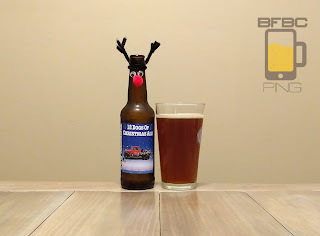 I’m not trying to jump ahead here, but this is the best of these winter ales so far. 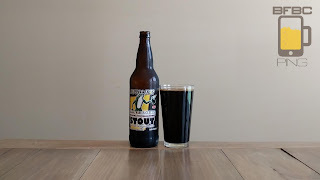 That sip is just the right number of spices floating atop the sweet, delicious malt with the honey and maybe something that tastes almost apple-like. 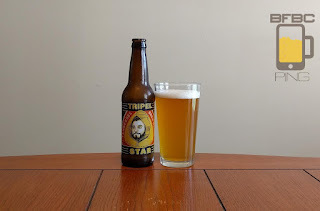 It mixes well with the cinnamon in the spices and just... zounds. 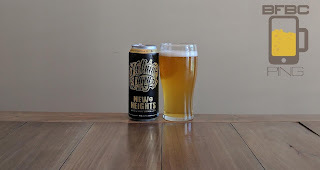 Another Bell's beer. I like them, and I like the fact that I didn't have to pay for it (thanks again to my brother). 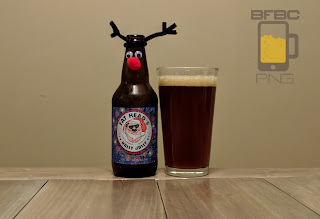 No, it doesn't normally come with the Rudolph-style nose, eyes, and antlers, but it comes with the usual beer in it all the same, so my review shouldn't be swayed by the cuteness of the bottle. With a dropper of deep brown added to an amber color for the body, the head is eventually pretty much nothing but the thin skin of bubbles floating on top. More important is the spices and heavy malt that hit me as soon as I started to pour this sucker. 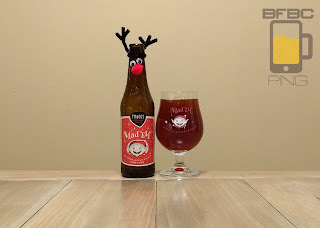 So, this is a spicy Christmas beer, and that's fine by me. First sip has a lot more raisin than I expected. This really tastes more like a Belgian Ale than a Scotch Ale. I'm not sure I taste any Scotch beyond a vague impression of wood somewhere in the background of the plum-raisin that is infused with the ginger and other spices. 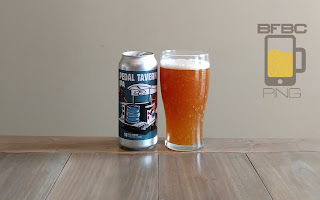 The brown-tinted amber beer has a thin head that leaves nothing but a dusting across the top and will almost assuredly not leave any lacing. 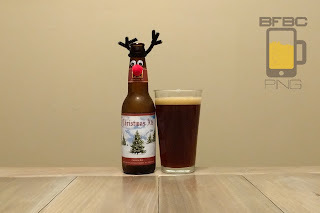 The aroma is honey malt and Christmas spices. It's definitely a winter ale (and I'm drinking this within a few days of Christmas, even though you may read this much later). First sip is ginger and cinnamon riding on top of a caramel and honey malt. 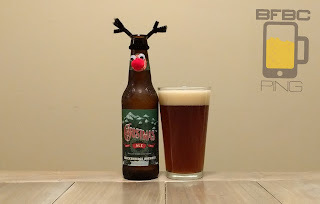 The taste is purely Christmas, and I am thinking they hit this sucker right on the head (not that they hit 12 dogs on the head - that would be cruel and unnecessary for the brewing of the beverage). Small breweries are popping up around Nashville like zits on a teenager - we're maggotty with these things. I couldn't be happier about it, either. I wonder how many small breweries actually make it long term, and I suspect it is a lot like the other small business percentages, but I suspect the best will be able to keep it rolling (unlike Hot Chicks, Nashville, that had some of the best hot chicken ever, and I just found out they closed). The haze in the orange-amber beer is generated by tiny little bits of stuff (I'm guessing hops) that is suspended in the beer. 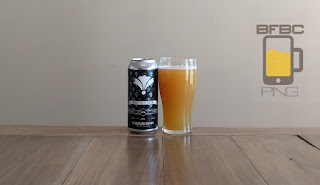 I comment only because, normally, hazy beers have bits that are so fine that they create the haze without giving the impression of floating flotsam. This one, however, has comparable chunks. The stark white head boils away to absolutely nothing - NOTHING! The aroma is a very light, funky yeast and maybe a bit of citrus.